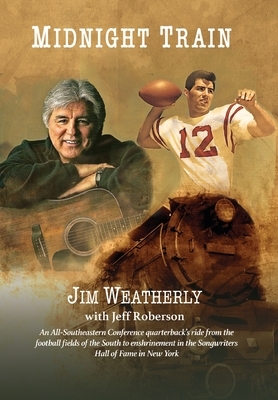 From the college football stadiums of the South to enshrinement in the Songwriters Hall of Fame in New York-- I'm Jim Weatherly and this is my story, an uplifting story of perseverance and my discovery of my own self-worth. Sometimes I can't believe it happened to me. As I continued to write songs during my youth, I was also excelling in sports, quarterbacking my high school football team to conference championships and statewide recognition. After high school, I became a scholarship football player at the University of Mississippi in Oxford, just half an hour's drive from my hometown of Pontotoc. I continued to play music during my college years at Ole Miss with my rock and roll band. I would perform with my group after football season and in the spring and summer, and we became one of the more popular bands in Mississippi and the surrounding states.